We were first introduced to Young Money duo Vice Versa back in December of last year when they appeared on Lil Wayne’s D6: Reloaded mixtape on the remix to Kodak Black's “Drowning.” Since then, the duo have quietly been doing their own thing, releasing a Red EP in February and sharing various videos & loose cuts ever since, but it looks like they maybe getting their biggest look to date coming up. According to the Young Money signees, the two are going to be featured on Lil Wayne’s upcoming Carter V album. 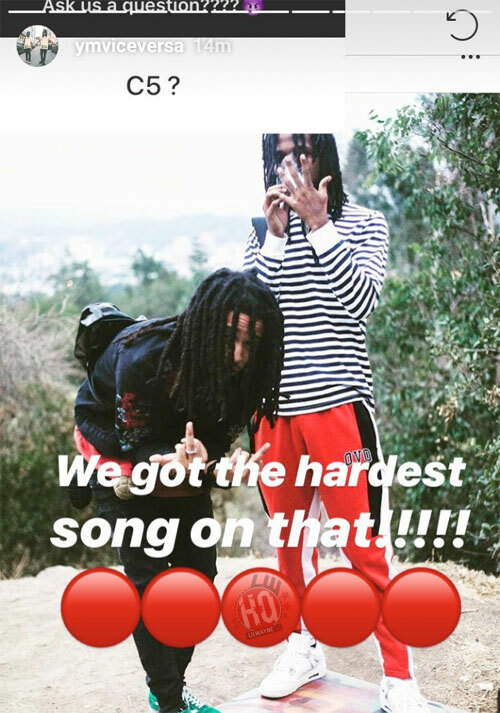 During a recent Q&A, Poppy Holden and Yaj, bka Vice Versa, revealed that they have the “hardest” song on their boss’ upcoming Carter V album. 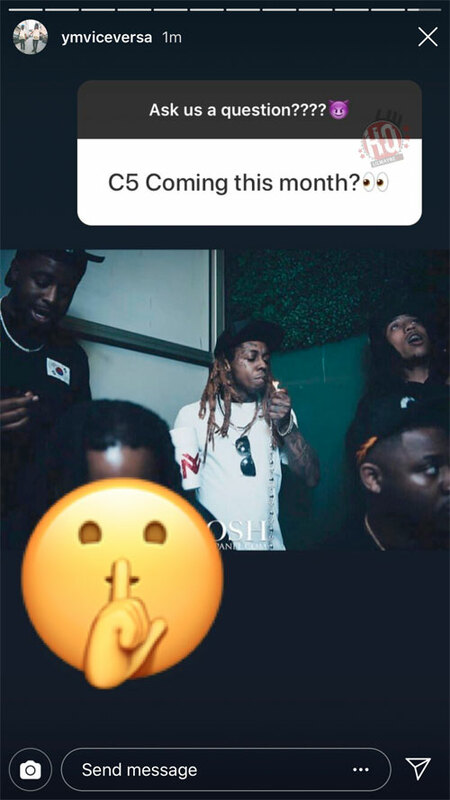 In addition to that, the duo also added the “shushing face” emoji when someone asked them if C5 would be dropping this month, further fueling the rumors of it arriving this month. This news comes just hours after Young Money revealed a possible album cover for Carter V on Wednesday, which you can check out for yourself right here if you missed it. Check out a couple screenshots from the YM duo (below). We'll continue to keep you posted on all Carter V details moving forward. Stay tuned.